As we all know that India is a diverse country dotted with several pristine, exotic, and sun-kissed beaches. The length of the Indian coastline including the coastlines of Lakshadweep and Andaman and Nicobar Islands measures at 7517 km. The Arabian Sea is on the west of the coastline of the Indian mainland, the eastern coast is flanked by the Bay of Bengal and the extreme southern coast has the Indian Ocean. 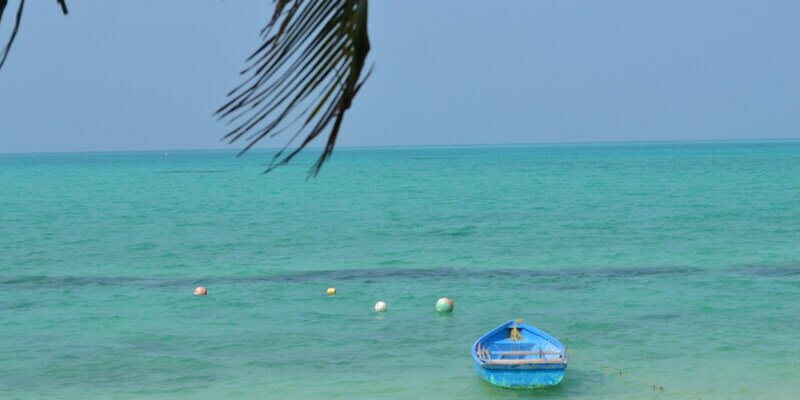 Starting from white, grey, emerald green to turquoise and electric blue, India is blessed with beautiful beaches. We have tried to provide you with a list of blue-coloured beaches in India so that you make the most out of your beach vacations. 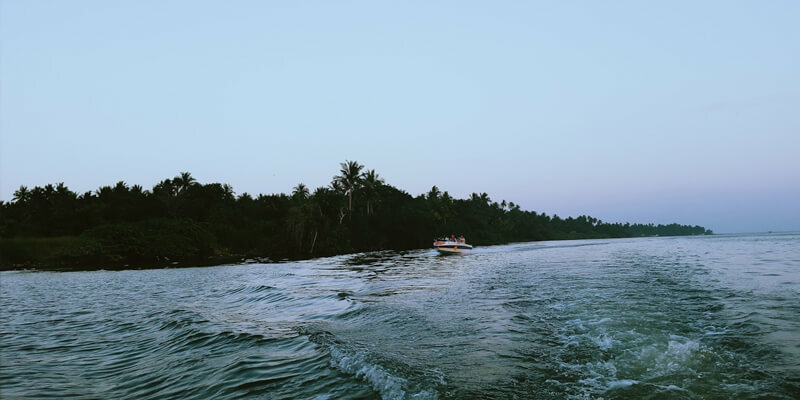 Situated 900 km from India’s mainland in the Bay of Bengal, the Andaman and Nicobar Islands is one of the most picturesque tourist places in India. The seventh beach in the group of islands is home to various coral and marine species. 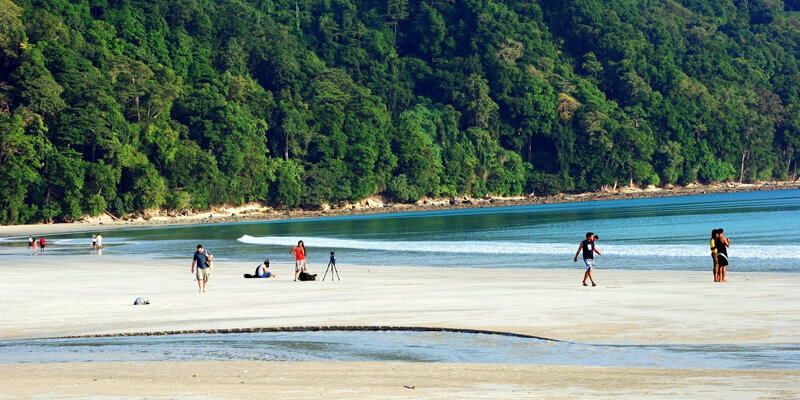 The Radhanagar beach in the Havelock Island is famous for its pristine white sand and enthralling blue water. 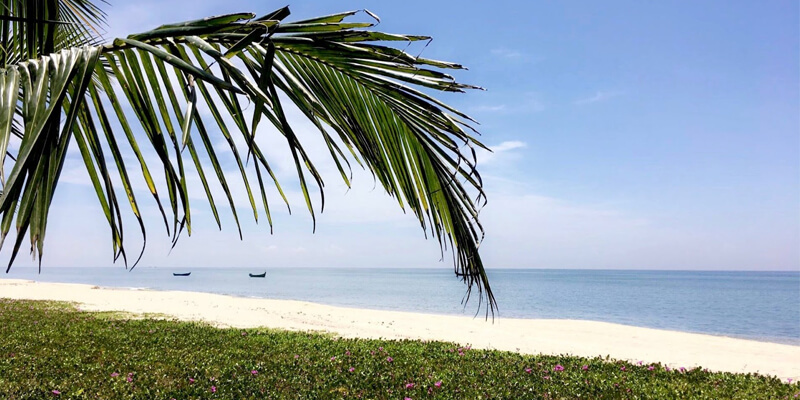 Located in the Alappuzha District of Kerala (11 km from Alleppey town), Marari Beach is not that popular like the other beaches in Kerala. Plan a trip to Kerala during the summer holidays and treat yourself with mesmerizing blue waters and alluring sunsets. You can also visit the neighboring village of Mararikulam. Lakshadweep Islands are the exotic hidden gem of India and are considered as one of the best vacation getaways in the country. It is a part of Bangaram Atoll. The flawless white sand, coral reefs, turquoise blue lagoons and aquamarine water flanked by swaying palms is enough to leave you awestruck. It will take you 90 minutes of a boat ride to reach Bangaram from the Agatti airport. 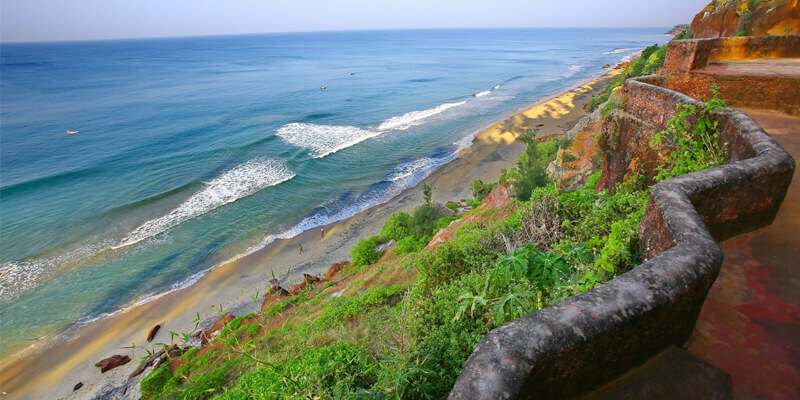 Located in Varkala, Thiruvananthapuram, Kerala, Varkala beach is also known as Papanasham (meaning, wash away sins) beach. One of the main features of the beach is the presence of tertiary cliffs adjacent to the Arabian Sea. A number of natural water spots are found on the sides of these cliffs. 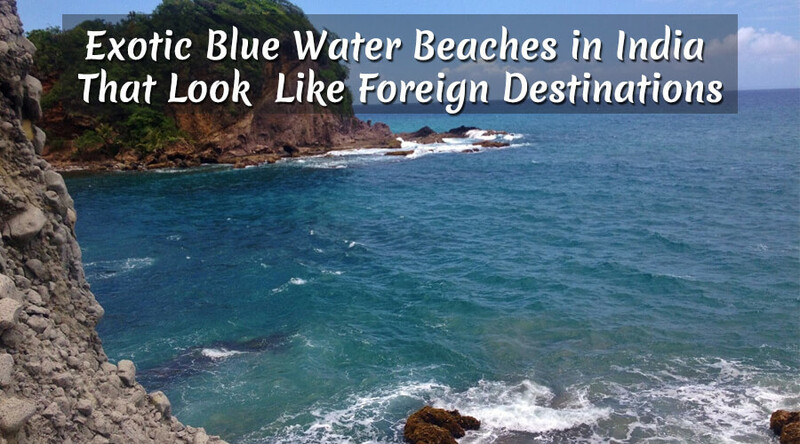 With dazzling blue waters and fascinating red cliffs, the beach is an absolute scenic delight. The beach is perfect for swimming, sunbathing, parasailing and paragliding. 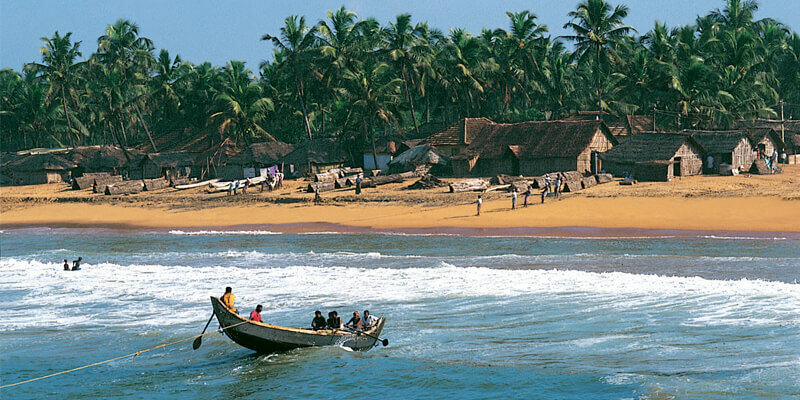 The beach is one of the main attractions of the Kerala tour. The adjacent coastal town provides the tourists with natural fisheries, temples, springs, and lighthouses. The seafront boasts of shimmering blue water, enchanting smooth golden sands and dense palm groves that make the beach a perfect paradise. The beach is located at 8 km approx from the city center. As the name suggest, the beach is a perfect vacation getaway. Even though Kerala is not considered as the prime beach destinations in India, but it still has some of the best beaches. The beach is located at 13km away from Trivandrum. Among the various tourist sites in Kovalam, it is the beach that is most sought after. The beach is known for the coconut groves and the rocky promontories. The beaches in Kovalam can be divided into three sections— Samudra beach in the north, Hawa beach in the middle, and Lighthouse Beach in the south. There are some exotic and scenic beaches in India. Plan a beach vacation and treat yourself with shining sun rays falling straight on the sea.